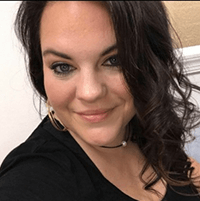 Bring social out of its silo and connect it to the rest of your marketing. Start growing your social media presence (without sacrificing your life). 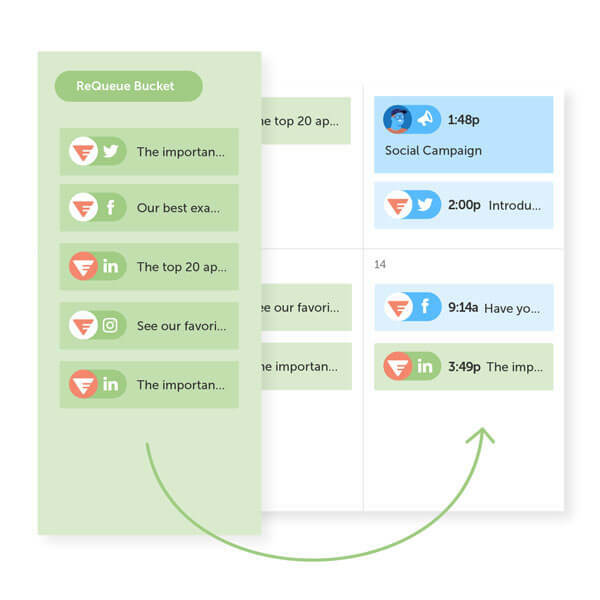 Manage all your social promotion (+ marketing efforts) in one place. Bring your entire promotional workflow into ONE centralized location. No more convoluted email threads, gaps in communication, and silos! Get approval on social campaigns fast and maintain control over everything your team publishes (no matter where you are). Eliminate the guesswork in social scheduling. Get the MOST engagement every time you post to social media. Use Best Time Scheduling to intelligently share your messages at the highest traffic times for each network with minimal effort. Schedule dozens of social media messages in bulk. Instantly share content from anywhere on the web. Curate, create, and share content with followers without ever leaving the browser. No more copy/paste commands or switching from one tab to the next! No more copy/pasting to every social network! Schedule all your social media posts in ONE place with CoSchedule. 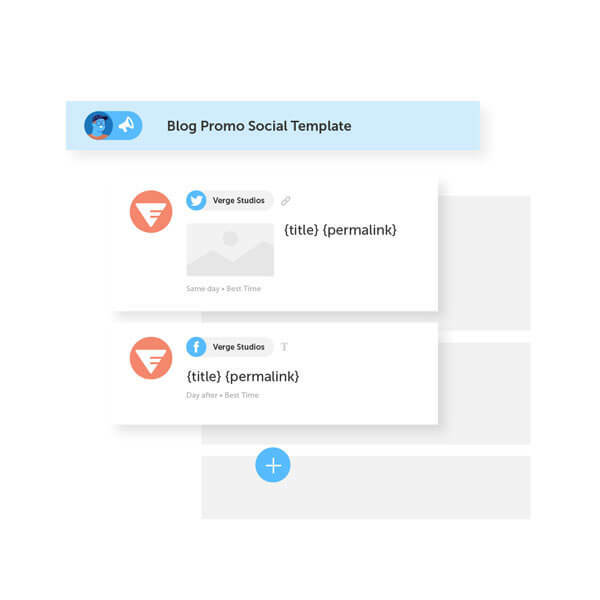 "I absolutely love social marketing templates. Being able to create something that I can apply quickly and easily to all of my social media campaigns makes it so much easier for me. For our blogs, I can actually see that the language is good on all the social posts and the timelines measure up. It's quick and easy. And I love that." Automatically re-use your best social messages (w/out the manual work). ReQueue fills in the gaps of your daily schedule (with intelligence), not manual guesses! It takes into account your entire social schedule, promoting your messages at the most optimal times, and finding the gaps in your schedule (so you don't have to). Stay in the loop (no matter where you are). Know what's happening at any given moment, review scheduled messages, and make game time decisions without having to rely on WIFI or your physical location. Prove the ROI of your entire promotional strategy with understandable reports! Track, measure (and re-share) your best content. Uncover valuable insights with post specific metrics and make improvements on your blog content based on organic social reach, title, topic, etc. Get a holistic view of your social strategy from CoSchedule's social engagement report. Uncover valuable insights and make improvements fast with our social analytics suite. Stop downloading reports from individual platforms (or multiple third-party tools). 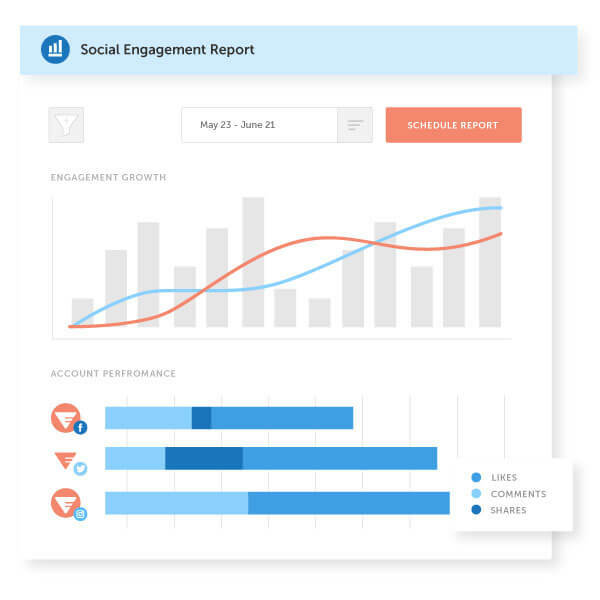 Review your social strategy with unique reports for every social platform in one place. Stop wasting precious hours of your life on social promotion.